Date: 6th July 2018 This entry was posted in Massage and tagged Fibromyalgia, How Massage Can Help With Your Fibromyalgia on July 6, 2018 by kathy. Fibromyalgia is a long-term condition that causes the person to experience extreme chronic pain, fatigue, memory issues, and frequent mood changes. This condition is known to affect the entire body as it causes tenderness in the muscles, tendons, joints, and other soft tissues. Fibromyalgia is incredibly painful and can occur often, it is, however, not life-threatening and nor does it lead to any sort of muscle or joint damage. It is known to occur much more in women than in men with the ratio being 9:1. Fibromyalgia often starts within the age range of 20 to 50 years old. This type of condition is not the one that can be completely eliminated; instead, it is a pain that can be managed. One of the most common and well-known forms of fibromyalgia management is massage therapy. Known to relax the muscles and the joints through the use of firm yet light pressure, this therapy has been famous to relieve a person of several types of physical pain. Hence, it is also known as the probable sedative to fibromyalgia. When you have continuous pain in your muscles and joints it is obvious that you are going to experience high levels of discomfort. Massage will be the outlet you need to help dull out that pain which in turn will make it possible for you to further relax. Through the massage, the muscles become warm and this allows the massage therapist to be able to work on the knots causing the pain. Toxins are released and the pain caused by the knots is reduced. You must always drink lots of water after a massage to flush out these toxins. People who have fibromyalgia have said to experience much less pain on the days that they receive the massage therapy. This is again related to the knots being untied and the relaxation being brought forth by the release of the toxin. When the body is able to get adequate sleep it rejuvenates and repairs itself which makes it better equipped to bear the symptoms of fibromyalgia. The massage therapy will help boost the serotonin levels in the body and restore the homoeostasis as well. These two changes coupled together will reduce stress, regulate appetite, and regulate hormonal imbalances. Massage has proven to be one of the best ways of dulling down the painful impact of fibromyalgia, and has allowed the sufferer to function properly in their everyday life. 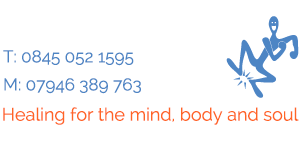 Sue Carberry from Integrated Bodywork offers Therapeutic Massage a deeply invigorating and focused massage. This is an invigorating deep tissue massage that focuses on targeting specific areas of the body that are stressed or painful.